Students and teachers of the Manipur University on Monday hit out at Acting Vice Chancellor K Yugindro for his remarks comparing agitators to terrorists even as a five-day economic blockade in the state called by tribal students bodies from Tuesday was “suspended” after talks with the government. “I would like to request the Centre to do the needful immediately in order to save the university from the hands of terrorists like agitators…,” Yugindro had said in his letter dated October 3, addressed to the Ministry of Human Resource Development. Students had staged a sit-in protest protesting against the acting VC’s remarks, M Dayamand, president of Manipur University Students Union, said. Professor I Tomba, an office bearer of the Manipur University Teachers Association (MUTA), said its members would not cooperate with Yugindro for his use of words and would go for a mass casual leave on October 10 to protest the delay in releasing the arrested teachers and students as well as withdrawal of the FIR. 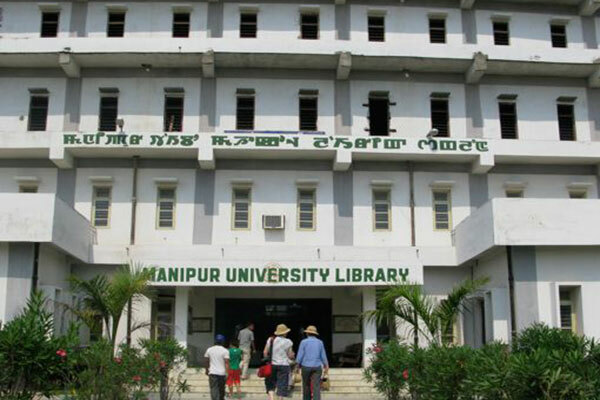 Eighty-nine students and six teachers of Manipur University were arrested on September 21 following an agitation on the institute’s campus the day before. A team of officers raided the university hostel and the residential quarters around 1am and took the students and the teachers into custody based on a complaint filed by newly appointed Acting Vice Chancellor K Yugindro Singh. Later, the police had released all but 15, whose names were in the FIR for “wrongful confinement, illegal detention and attempt to murder” when he assumed charge as the acting VC on September 20. Singh, in his complaint, had said he was “gheraoed” by the agitators for trying to assume charges at the central university, where a prolonged battle between former vice chancellor AP Panday and the students and teachers have hampered academic activities for over four months. The university has been on the boil for several months. After a 85-day strike by students, demanding removal of the then vice chancellor A P Pandey for alleged administrative and financial lapses, it had opened on August 23. President Ram Nath Kovind, in his capacity as Visitor of the Manipur University, recently placed Pandey under suspension as the inquiry into the allegations of irregularities against him was underway. K Yugindro Singh was appointed as the Acting VC by the Ministry of Human Resources Department, soon after the suspension of Pandey. In the meanwhile, the economic blockade called by three prominent tribal students bodies was suspended following talks with Chief Minister N Biren Singh and Chief Secretary J Suresh Babu, All Tribal Students Union Manipur (ATSUM) leader Micah said. The ATSUM, the Kuki Students Organisation and the All Naga Students Association Manipur had proposed to observe the blockade on national highways of Manipur. Micah said they have placed two demands — restoration of normalcy in the Manipur University and upgradation of Indira Gandhi National Tribal University (Regional Campus) into a full-fledged of a central university. The organisations had alleged that the government failed to resolve the crisis in the university.